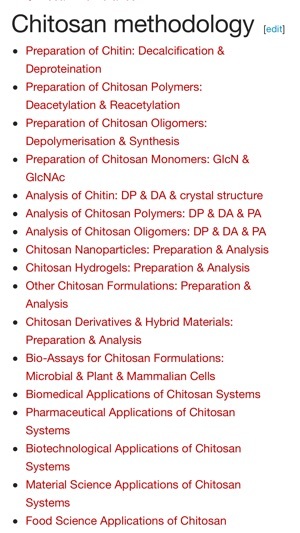 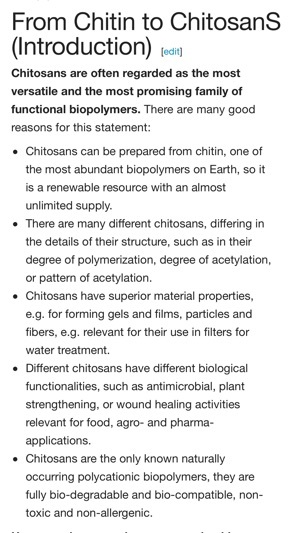 The Chitosan Wiki is the comprehensive knowledge base on chitin and chitosans including their contemporary production methods. 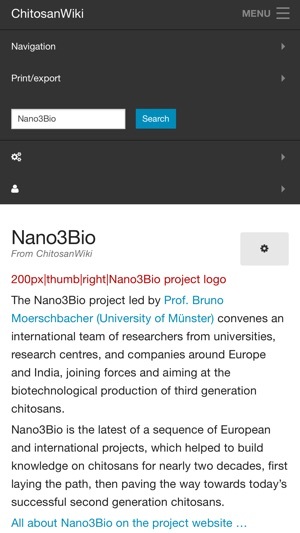 The app contains an excellent overview and countless details for experts, students and beginners. 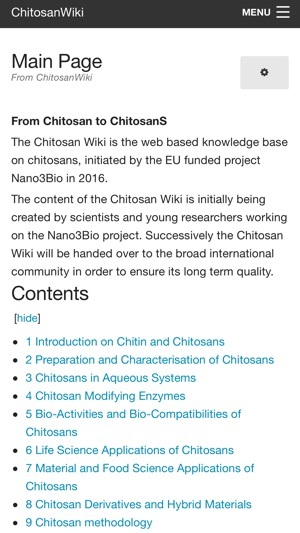 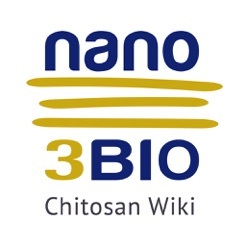 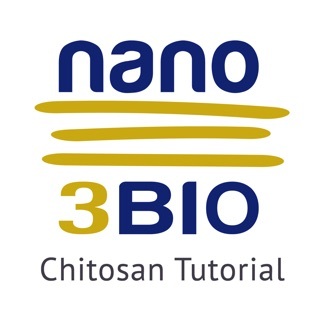 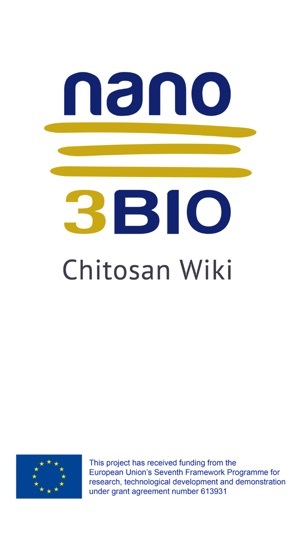 The Chitosan Wiki was initiated and is powered by the EU funded project Nano3Bio.